No open it ,you can't image it is bag settle bbq Grill Tools. Built-in classical bbq Grill Tools Set includes slotted spatula,Bbq Tongs and bbq fork.This BBQ Fire Grill in bag looks like a carry bag.You can even take it to the stress!You will not bother anymore to choose a gift, the high quality BBQ grill tools set is an ideal choice for barbecue fans, cooks, camping lovers,a women-only gift! Looking for ideal Stainless Steel Bbq Grilling Gift Manufacturer & supplier ? We have a wide selection at great prices to help you get creative. 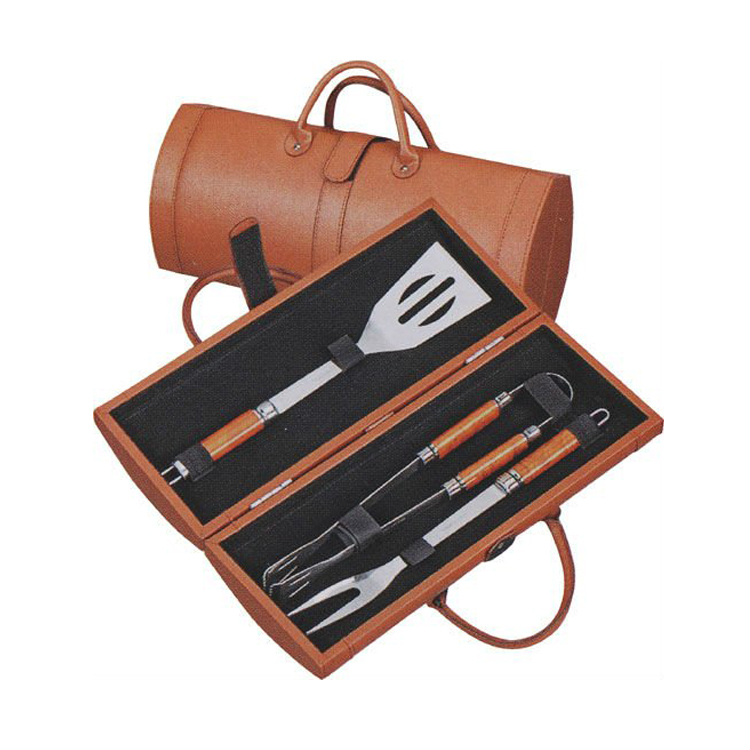 All the BBQ Gift Set for Lady Cook are quality guaranteed. We are China Origin Factory of Bbq Grill Tools for Birthday. If you have any question, please feel free to contact us.